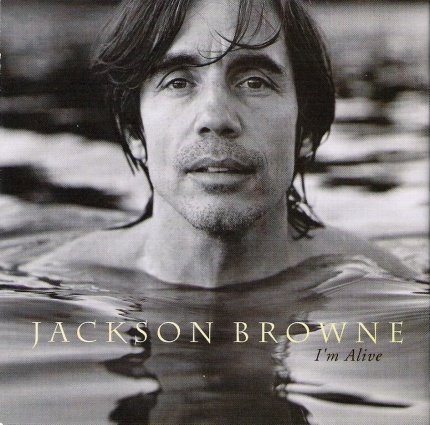 I have only blogged a topic like this once before, but since I recently bought tickets to see Jackson Browne at the Dodge Theater in Phoenix, I thought I would share a story. I have gone to concerts since I was 13. I used to wait in long lines outside of record stores to get tickets as soon as they went on sale. Now, this process is web-based where I buy tickets on the appointed day a few seconds after 10:00 AM when they go on sale at 10:00 AM. I always pick "best available" assuming this gets the best available seats. One would think that the earlier one is, the better the set one would get. This does not appear to be the case. This blog post documents my purchasing experience. I started right at 10:00 AM where the first few clicks were "not on sale yet" and just kept going until I obtained two tickets. Using LiveNation, I tried to buy two tickets by selecting best available. The system told me it could not get that many seats adjacent to each other. Note that my ticket request is for two. No way. I am not asking for a row of 12 tickets I want two. Something is amiss. I try again. Same result. I decided to see if I can get one ticket. By definition, there are no adjacency problems with one. I am offered a ticket in row 4, set 10. I think that's great, but I need two tickets, so I decline that ticket. Seconds later I wonder if "best available" doles out tickets in order. Maybe I can make two purchases one right after the other and get adjacent seats? I try again. I am offered a ticket for row 21, set 1. I hold onto that. I have 6 minutes to decide. In another browser window, I make another request. I am offered row 17, set 1. Let me get this straight — the second ticket is closer than the first one even though I am later to the buying process. Since the seats are 4 rows apart, yelling 4 rows up "Hey honey wasn't that a great song?" isn't going to cut it. So I turn down both tickets. I bail on LiveNation and go to TicketMaster. Adjacent seats work for this site. I am offered two seats in section 3 (center) row 35. Learning from my previous LiveNation experience, I open another browser window and request two tickets. I am offered section 2 row 21. It's closer but section 2 is on the side, not the middle. I decline the two tickets in step 8 and buy the ones from step 7. So although buying early increases your chances of getting a good set because the pool of available seats is wide open, it does not necessarily get you the best seats. It appears to pick seats at random from those available in a given price range. One would think that first customer to buy two seats would get row 1, seats 1 and 2. The next customer would get row 1, seats 3 and 4. The process would continue until row 1 filled up and then move to row 2. The process would continue until the section filled up and then move to the next section. Actually, a strict order is not required since "best available" might mean closer in a side section than way far back in the center section. A computer is doling out the tickets, so surely an algorithm can be applied. Since row 1 is normally for VIP tickets, it can even start in row 3 or wherever the process should start. So I have my seats in row 35 of the center section even though I bought within the first 3 minutes. If I ruled the world, the computer process would emulate the lawn-chaired-based waiting process from the days of yore. Each set could have its own price based on location. I could then indicate how many seats I wanted, how much I was willing to spend and rest assured that for that amount of money I could do no better. Airline reservation systems show you alternate prices for the same flights on different days. Why can't concert set ticketing systems do the same for alternate seats? Since the concert ticket buying process is all managed by computers, we should let the computers work for us - not against us. Lamenting the ticketing dole out process is alive in the lab.